G'day mates! On this episode of Worth It, we traveled all the way to Australia to continue our food adventure. Our first stop was Doyle's Oyster Bar at Sydney Fish Market. Andrew admitted that he did NOT like oysters; however, when he slurped the Tuross Lake oysters his life changed forever. "Holy shot, what the duck." The next stop was Cirrus in Barangaroo, Australia, where we tried another form of shellfish. Marron, like the crawfish, was caught locally and served at a price of $42. The dish was so heavenly that the temptation to finish it all, without sharing a bite with Adam, was almost too strong. The next and final stop was Silks at Crown Entertainment Complex in Southbank, Melbourne to experience a deep-dived delicacy. Here, we would have a sous-vide cooked $311 abalone topped with mushroom, boy choy, and gold. Wow. Wow. And wow. Those were the words that came out of our mouths while we indulged in this delicacy. Was it our Worth it winner? Well it seemed unanimous that the winner for this seafood episode would go to Circcus for their marvelous marron. 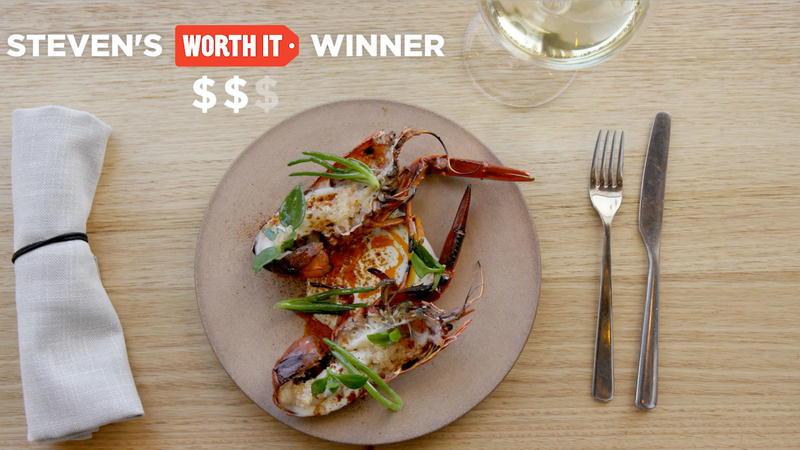 Which seafood selection is your Worth It winner?